This is where we blog, share, and review products. Our goal is to help each other make an informed decision, save time and money, buying the right quality scooter parts and accessories. Engine Code: "BN157QMJ" 150cc stock, GY6 (A-Block) 54mm stud spacing longcase 20", Chinese scooter model "ZNEN" manufacture by Zhongneng Industry Gr..
Honda Ruckus' GY6 Swap courtesy photo by James Fleming Thinking about GY6 SWAP / Install Big Bore KitHow to install GY6 Big Bore Kit 171cc on ..
GY6-B (B-Block) 57mm stud spacing longcase 20", stock bore 65mm, bore up to 70mm fit 67mm cylinder + 66mm stroker = engine displacement of 232cc POW..
Engine Code: "BN157QMJ" 150cc stock, 12-Pole DC Fired, GY6 (A-Block) 54mm stud spacing longcase 20" fit 13" rear wheel, Chinese scooter model "ZNEN"..
About 40QMB, 139QMB, 1P39QMB 40QMB 50cc is a 2-stroke engine. 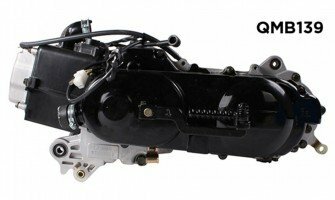 See animated diagram 139QMB 49cc-50cc is a 4-stroke engine. 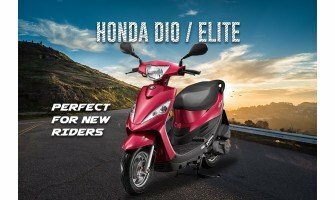 See animated diagra..
About Honda Dio / Elite Honda DIO 50cc is a 2-stroke engine. See animated diagram Honda Elite 50cc is a 2-stroke engine. See animated diag..